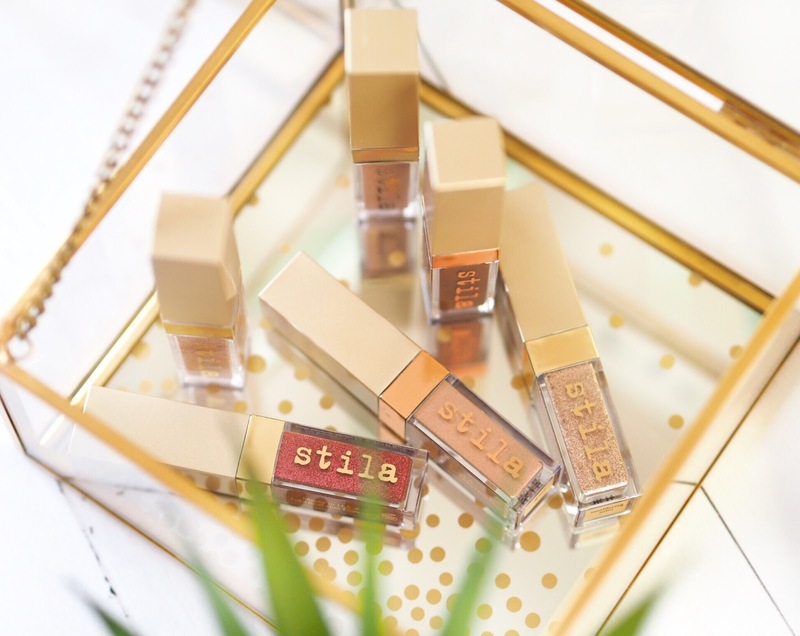 Not gunna lie, but Stila have blown it out of the water this year haven’t they? Their liquid eye shadows have become cult classics, because never before have we been able to get glitter eyeshadow with that much pigment in one sweep of the brush. 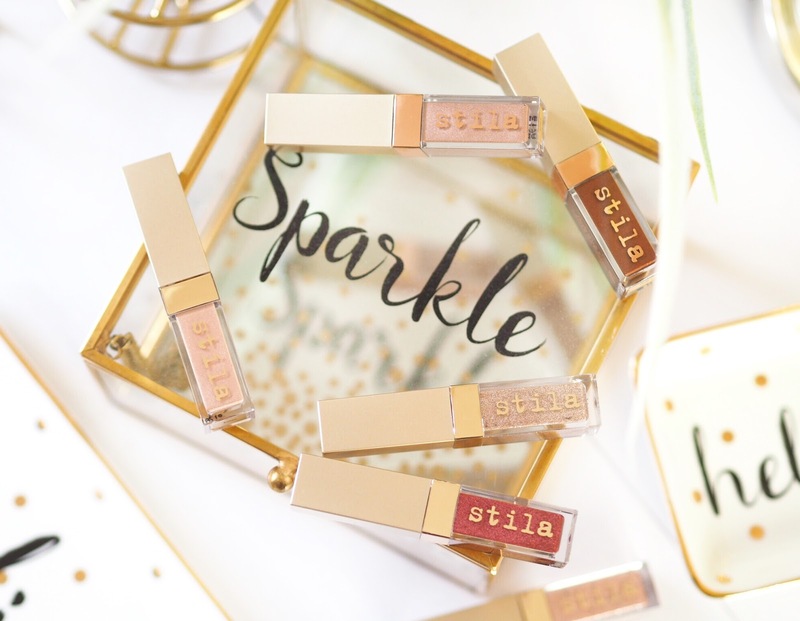 Nope, glitter lids have taken multiple steps to achieve a similar coverage and I really feel like this is the product that have put Stila on the make-up map for good. So naturally I was bouncing with excitement when I saw their Christmas exclusive sets this year! Anyway, when they did finally arrive (and after I recovered from what I paid for them) I was really excited to use them. And very excited to be able to tell you all about them too. So – the deets: inside the set are six eyeshadows. Three are the Glitter and Glow shadows that we’ve seen before and three are the brand new Shimmer and Glow shadows. 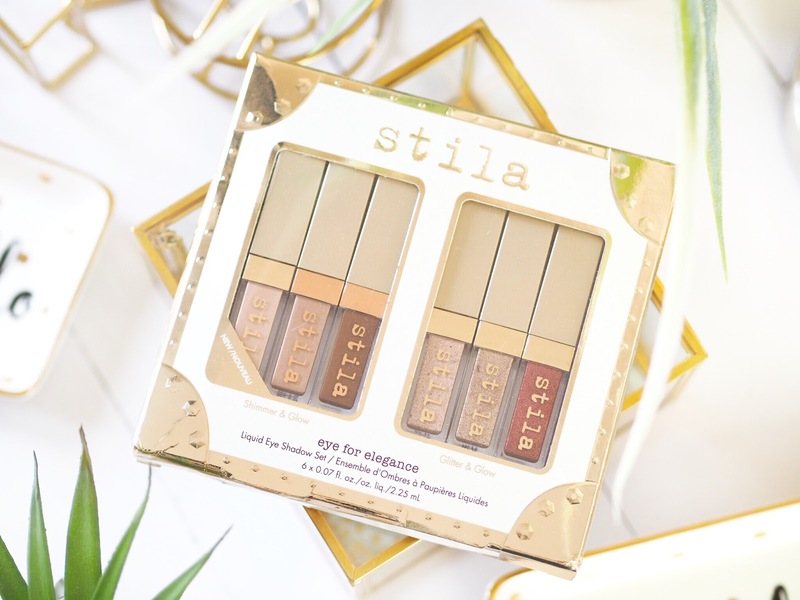 The Shimmer and Glow shadows are a new product fully launching in the spring, but this set features a sneak peak with three shades and they’re basically a shimmery, metallic finished liquid eyeshadow. 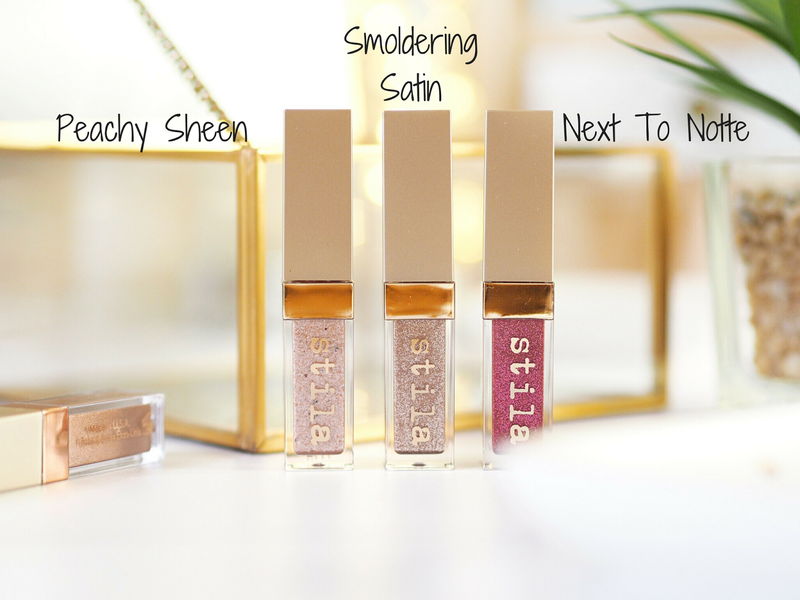 The Glitter and Glow shades in the set are: Kitten, Smoldering Satin, Peachy Sheen and Next to Notte – all of which have pink tones to them. Next to Notte is a dark pink hue with red tones and the other two are pale pinks and lightly dusted with peach tone glitter hues. 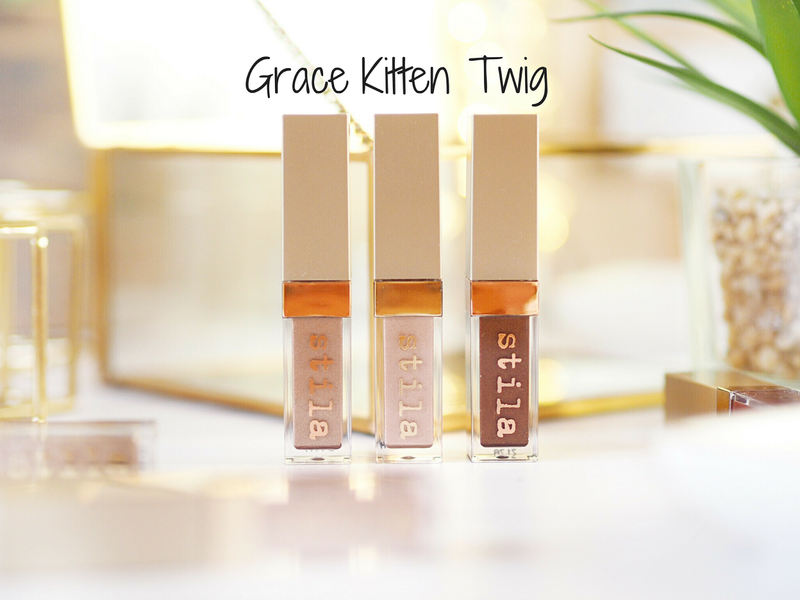 The Shimmer and Glow shades are: Twig, Kitten and Grace. Twig is a dark red with brown tones and the other two are neutral tones with a touch of pink throughout. Perfect for any time of year. 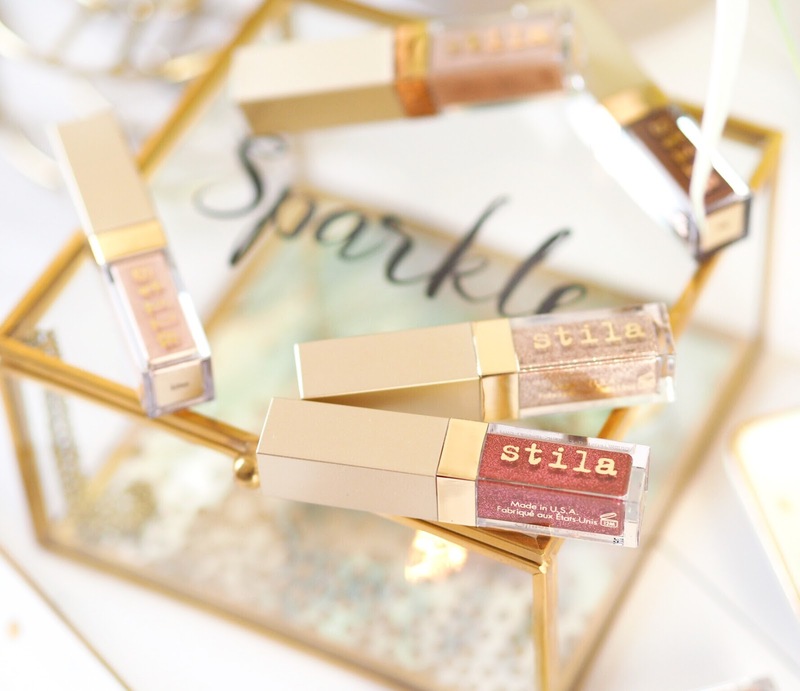 The colours are really versatile, and perfect for everyday wear – as long as you’re into glitter during the day (I am!) And the pigmentation as ever, is INSANE. 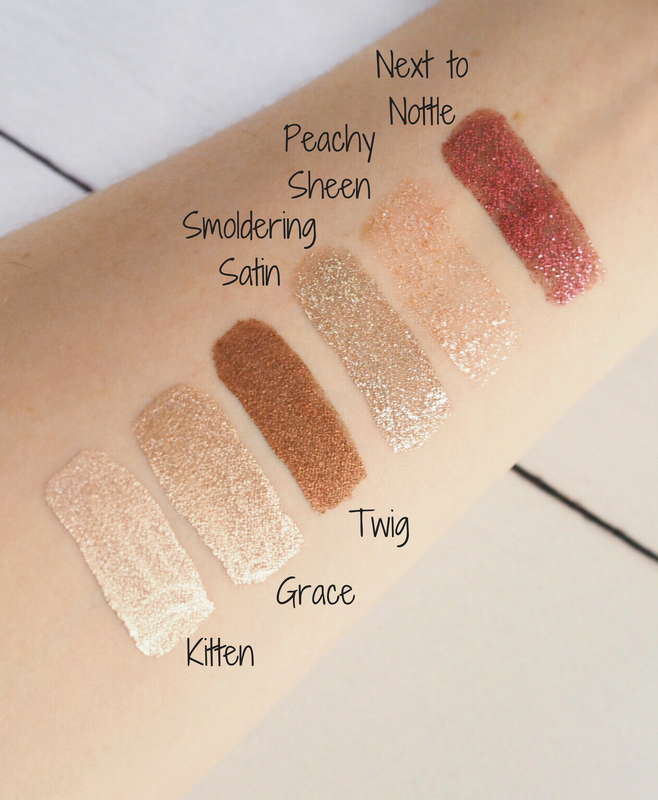 Probably one of the best liquid eyeshadow formulas that I’ve tried. The colour payoff is high and the lifespan is great. Admittedly they do sink into the lines on your eyes by the afternoon, but hey, what liquid eyeshadow doesn’t? And these do last significantly longer than others I’ve tried, that sink into lines within only a few hours. These outlast others by far. For the price (£45 for the set – unless you’re me who paid nearly double!) these work out at £7.50 each. 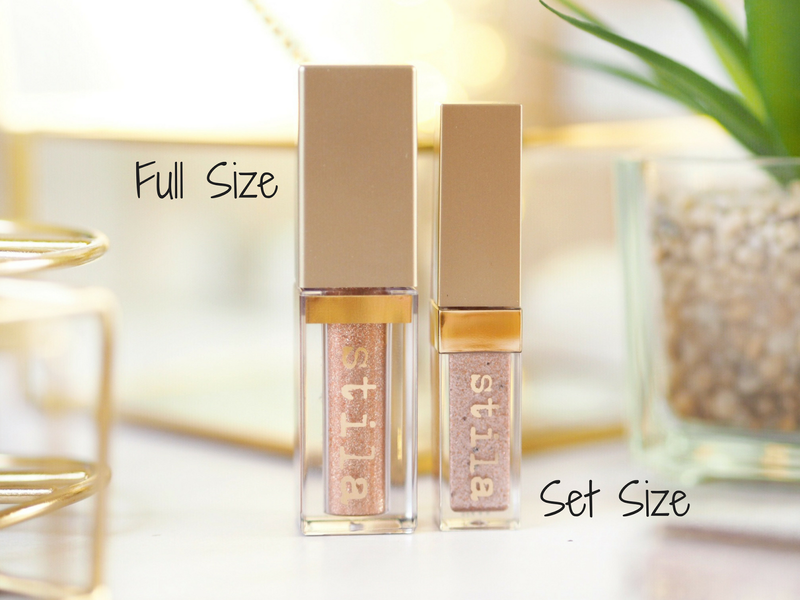 The full sized Glitter and Glow shadows are £23 each and the ones in the set are quite a lot smaller – but for the variation of shades for the price, it works out really good value. Especially because you’d only be able to buy two of the full sized versions for the same price. So the colour selection is lovely and versatile, the quality is fantastic and there’s the added bonus that it’s a total novelty because it’s a Christmas Limited Edition. 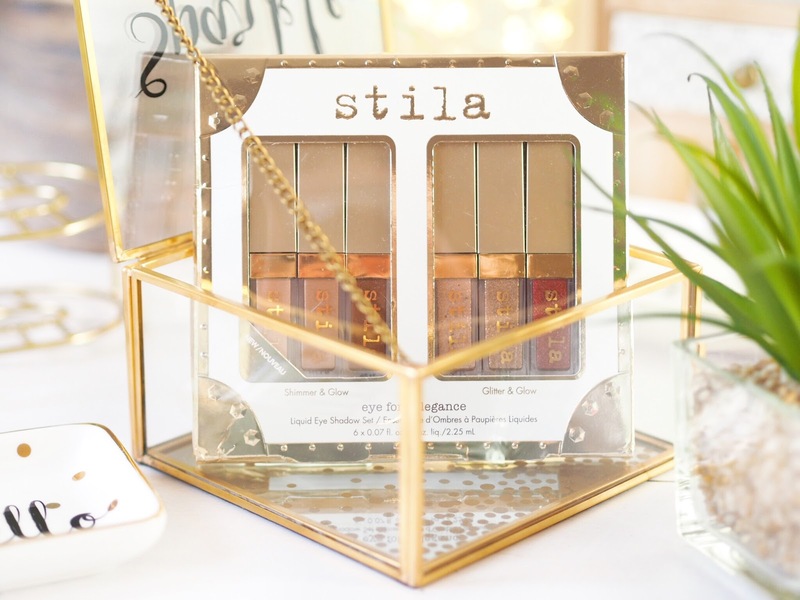 Basically, if you’re going to buy one thing from Stila this Christmas, then it needs to be this! So keep an eye on the website for stock updates and get it as soon as it comes back in stock, or it will sell out fast again!